This guide gives you the skinny on bigger ships and better parts to equip them with. 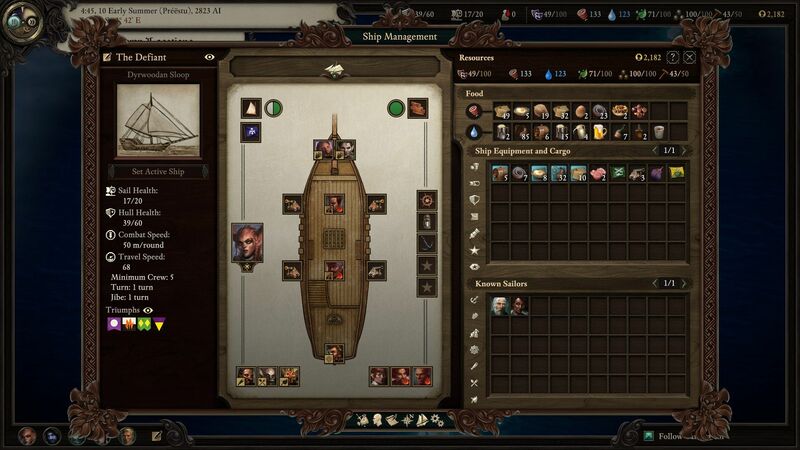 Ship exploration is one of the biggest new additions to Pillars of Eternity 2: Deadfire and players will have to manage now only the crew, but the parts of their own vessel as soon as the game gets started. 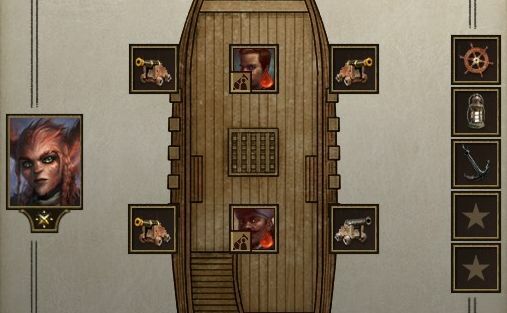 We touch on crew management more in our Ship Combat, Naval Exploration, and Crew Management guide, but here we will address the parts you'll need to spend coin on to stay alive in the Deadfire Archipelago. There's quite a bit available to purchase pretty early into your Deadfire journey, but this guide will be a living one that is updated over time. Make sure you bookmark our full Guide and Walkthrough for Pillars of Eternity 2: Deadfire and check in regularly for updates. Now, let's dive into ship upgrades. What Cosmetic Upgrades Are Available? Cosmetic upgrades are the options that just add special areas to whatever ship you're sailing. There are miscellaneous upgrades in addition cosmetic ones, so be sure to check back for updates. Description: Pen created to house all of the extra pets that you don't take on adventures with you. Don't forget to check out the Pillars of Eternity 2: Deadfire walkthrough and guide to find character creation build types, companion guides, walkthroughs, and more.